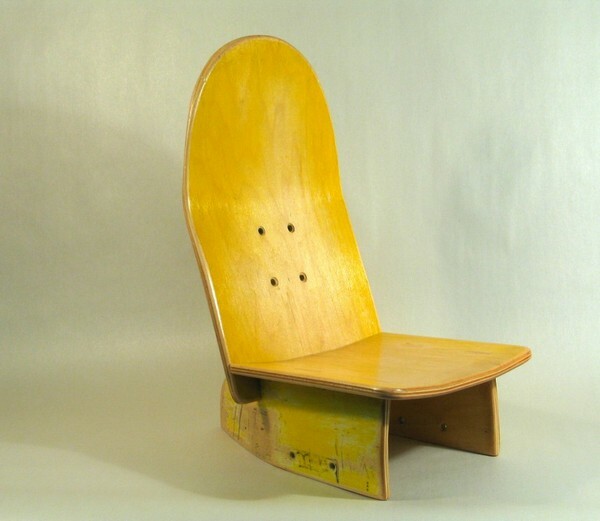 US designer Jason Greene enjoys skateboarding and has trouble throwing things away. 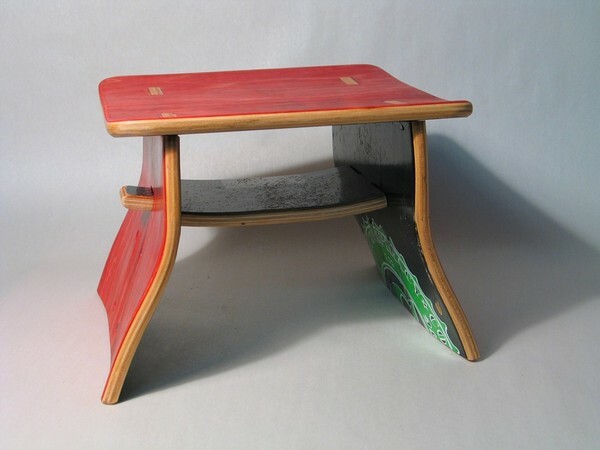 His business, Board Games, recycles old skateboards by making them into wooden toys and children’s furniture (he even uses grip tape as sandpaper for a truly authentic finish). The results are sleek and fun. There are ‘Baby Deck Chairs’ made from decks of old boards as well as small stools, perfect for tots to reach the bathroom sink. Each piece uses the natural curves of the board and shows off the original artwork and attractive ply edge of the decks. 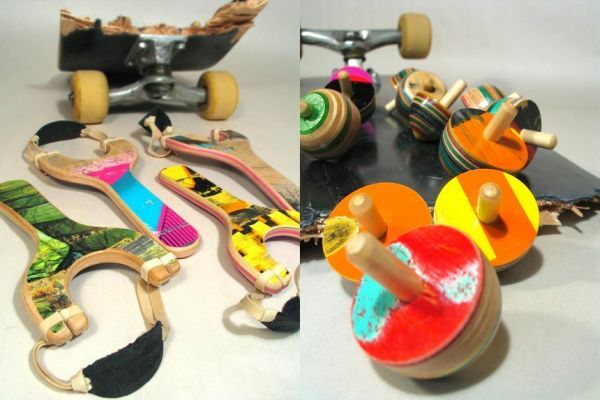 Traditional toys such as yoyos and spinning tops become super-cool when made out of skateboards – you will have to check in with Board Games every so often to see what is on offer. I was eyeing off a very cool pea-shooter that was subsequently snapped up by another keen Etsy shopper. My own mother’s words are ringing in my ears as I promote this toy (“Someone will lose an eye!”) but let’s face it, pea-shooters are just so darn fun. Happily, the pea-shooters were replaced by some equally cool little wooden buses – the perfect play vehicle for toddler dudes. Toys range from US$5-$25 and furniture begins at US$65. Board Games ships to Australia.